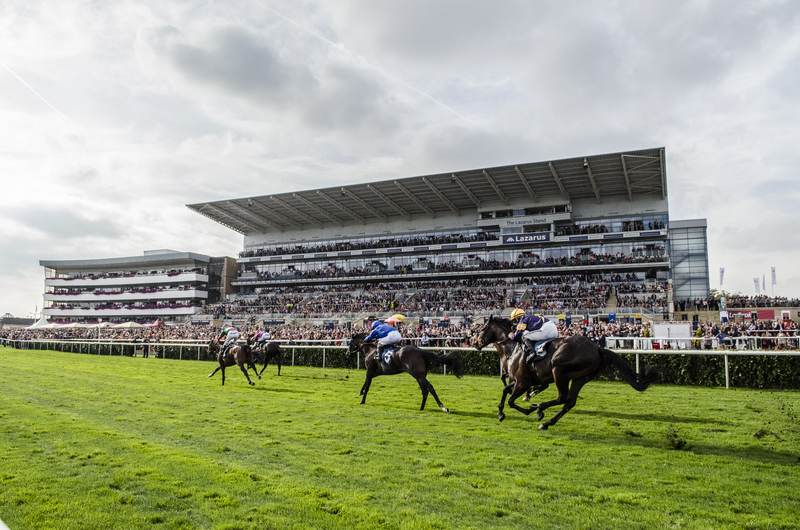 Doncaster hosts the Ladbrokes St Leger. (Pic: Courtesy of ARC). Aidan O’Brien believes there is little to separate his trio Bondi Beach, Order Of St George and Fields Of Athenry in the Group 1 Ladbrokes St Leger at Doncaster on Saturday. The Irish maestro looks set to saddle three of the maximum field of eight runners in the last Classic race of the season which offers prize money of £694,300. The O’Brien runners are at the forefront of the betting with the sponsors who have Order Of St George joint-favourite at 9-4 alongside the William Haggas-trained Great Voltigeur winner Storm The Stars. Bondi Beach is 3-1 with Fields Of Athenry next at 8-1, for the extended one mile and six furlong contest that is televised live on Channel 4 (3.45pm). “Bondi Beach ran very well in the Great Voltigeur [when second to Storm The Stars] at York,” O’Brien said at a press conference at London’s Landmark Hotel on Monday. “We wanted to get a run into him and I was delighted with his performance. Both him and the other horse [Storm The Stars] drifted left that day. “I think he is a horse that likes good ground and the better the ground, the better it should suit him – he is good-moving horse. Good ground or better would really suit him well and I have been very happy with him since York. “Order Of St George had a bit of a setback around Derby trial time. He was due to go to Lingfield for the Derby trial instead of Kilimanjaro but got a temperature. We had been very happy with him up until that point. “I was very happy with him at the Curragh last time and the ease in the ground suited him. He won very nicely. He has also form on fast and good ground and I think he is one of those horses that can handle anything. “Fields Of Athenry was drawn very badly in the Ebor last time and was a bit slow away. He is a horse that likes to bowl along and it took him a while to get to the front. Given his wide draw and big weight for a three-year-old, it was a good performance to finish fifth in a very competitive handicap. He kept going and will be back to level weights on Saturday. “The three horses all have different profiles and it is hard to say which will be best on Saturday. Bondi Beach came out on top by a short-head when he met Order Of St George at the Curragh on fast ground in June but that was Order Of St George’s first run in a long time. On the other hand, Seamie [Heffernan – jockey] wasn’t hard on Bondi Beach that day, so I don’t think there is much between the two. “They both handle good ground and we know that Order Of St George will cope with softer ground if there is any rain. Fields Of Athenry will run very well I think, as he is a tough horse and ran very well in the Ebor at York.